Catchfire Coaching.com is a marketing and coaching firm to show you how to maximize your professional practice in all facets. Dr. Chandler George is a published Author, professional speaker, event and seminar leader, Consultant, focused on helping you grow your practice. He has showed hundreds how to scale to sale their practices, and diffuse their stress. Dr. George can show you best practices on marketing your clinic, as he invests heavily in bringing the best to you for your practice. 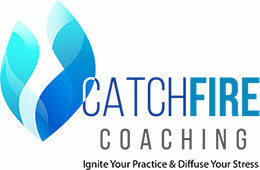 Let CatchFire Coaching show you how to Ignite Your Practice and Diffuse Your Stress. Sign Up For Our Monthly Newsletter Pack Full of Marketing Ideas!